You have set yourself up for success by learning everything there is to know about school and district policies and where to find correct answers to questions; setting up an organized classroom with every book, paper, and handout ready to go; working out basic rules to create a classroom that is a welcoming and safe place for intellectual development; determining consequences to support the rules; and planning for procedures, schedules, and seating charts that make sense. Now it is time to get to the actual purpose of the job—teaching students. With the standards and pacing guide in hand (see Chapter 3), you are ready to write lesson plans that will inspire students and generate success. The eight-phase lesson plan template described in this chapter delineates the key components of great lessons, making the best use of every teaching moment. When lessons flow sequentially, always reviewing prior knowledge and then constructing deeper understanding based on new concepts and skills, learning is relevant, organized, and comprehensible. Yesterday's learning is complemented by today's lesson, which leads to achievement tomorrow and beyond. In college I majored in French and minored in physical education. Why? Because I loved both and knew that each would be fun to teach. I never considered that the two might be a tough combination for someone who might want to hire me. I just wanted to learn more in subjects I loved. Two French instructors stand out in my mind for deeply expanding my knowledge of the language. Mme. Gambieta was ornery and frightening, and she taught grammar with the power of a hurricane, making clear her extremely high expectations. Each night we had a pile of homework to complete. The next day she would call on one or two of us to go to the board to translate a complicated sentence she had written there. Any mistakes meant a demeaning tirade that each of us dreaded. Whenever she chose me, I committed errors and then endured her ridicule, which caused me to feel helpless and hopeless as a student of language. No matter how I studied or performed at the board, my work was never of the quality that Mme. Gambieta demanded. I did learn—though through tyranny and fear—and I memorized and eventually mastered her required skills. Fortunately, I loved French so much that she could not defeat me. The second professor who stands out in my mind is Dr. Bertollo. A tiny man physically, his immense adoration of the language brought magic to everything we did in class, whether it was reading, writing, speaking, discussion, or just taking in his mesmerizing lectures. Each moment in his presence increased my confidence and my love of French. When Dr. Bertollo described and explained great literary authors and their works, he closed his eyes and transported his learners into an enchanted world of learning. Each class was inspirational and motivational and multiplied my knowledge and understanding. He treated each of us as if we were uniquely bright and gifted. He wanted us to love French language and literature as he did. And we did. These two instructors were each teaching the same subject area to college students, but they possessed very different attitudes about igniting student learning. They were both passionate and knowledgeable, but very dissimilar in their lessons and delivery. I learned, but which teacher and type of lessons best illuminated my learning? It is strange, but some teachers do not complete detailed lesson plans every day and then wonder why students do not learn. Although years of experience can shore up less-than-complete planning, nothing compares to well-planned lessons. Comprehensive plans increase the likelihood that lessons run smoothly, so that students receive quality instruction. By planning ahead, you are always set for the day. If you become ill, you do not have to drag your sick body from a cozy, warm bed to write plans and then drive in a semiconscious state to the classroom to organize each aspect of the upcoming day, including additional activities and backup materials for a substitute. How nice to remain inert and under the covers knowing that thorough lesson plans are complete and on the desk, with all supplementary material prepared! Few factors are as vital to teaching success as having well-designed lessons. Imagine a doctor who does not plan adequately for surgery, a contractor who builds a house as he pounds along using scrap lumber and duct tape wherever he finds them, or a teacher teaching a lesson with no foundation or clear direction. Students attain desired learning outcomes through excellent lessons. Creating the plans should not take longer than presenting the actual lesson—but it may feel that way at first. Textbooks and supplementary materials for the subject or grade level provide many lesson plan outlines, strategies, and activities. Being fully familiar with the materials and with grade-level and subject requirements leads to solid instruction. Excellent materials sit on shelves or are available online while teachers spend hours trying to design lessons instead of taking advantage of what already exists. Refer to and implement ideas and lessons from these materials, and then modify or fill in when no available tool can adequately meet instructional needs. After studying, observing, and reflecting upon lessons and lesson plans for many years, I have manipulated and adapted ideas to create a sequential design that reaches each diverse learner. Although on-the-spot modifications are almost always necessary while teaching, I use an eight-step model that engages students by building on their knowledge. The design provides many opportunities for teachers to recognize and correct students' misconceptions while extending understanding for future lessons. Set a purpose. Describe the overarching reason for this lesson. Introduce the key concepts, topic, main idea. Get students on the right track. This step may be a note on the board, a diagram, or a probing question of the day's lesson focus. Pull students into the excitement of learning. Seize students' attention with items like an amazing fact, a funny quirk, a challenge, or other mind tickler. Make the learning relevant. Explain how this lesson extends past learning and leads to future learning—that is, the significance of the concepts, skills, and focus of the lesson. Check on previous knowledge. Verify what students already know. Clarify key points. Double-check on learning from the past. Focus on specific standards, objectives, goals. Link the lesson to the standards, and let students know exactly what they will know and be able to do as a result of this lesson. Check for correctness and add to background knowledge. Add extra information for the day's learning and beyond—just enough to launch into the main lesson. Introduce key vocabulary. See it; say it; read it; write it. Ask questions to clarify ideas and to add knowledge. Engage students in the learning and build background with probing questions. Brainstorm main ideas. Fill students' heads with ideas, concepts, possibilities; allow them to expand and clarify their thinking. Clarify and correct misconceptions. Engage students in activities that will inform you as to whether students are confused or have incorrect ideas so corrections can be made before the misconceptions become worse or detrimental to learning. Provide teacher input. Lecture, add key points and new information, read the text or articles, and solve problems. Present the body of the lesson. This may be a whole-class lecture, a small-group activity with teacher supervision, or a partner activity with teacher supervision. The learning is active (not silent reading without specific goals or mindless completion of a worksheet). Check for understanding with sample problems, situations, questions. Have students practice with the information just taught. Guide the learning. Provide time for practice and review. Allow students time to practice under your supervision. You and the students work together. Supervise students' independent practice. Select additional strategies for small groups of students who still do not "get it." Other students may begin to work independently, with the final goal being that all students can work on their own. This practice prepares students for successful homework, and it prepares them for future learning. Bring the lesson to closure. Link the lesson phases and information together. Summarize the learning of the day, and discuss how it fits into the big vision for learning. Have students demonstrate what they know and can do by writing a brief note to hand in as they leave; the note may include questions, problems, or ideas on the learning. Alternatively, they may write in their journals or explain their understanding to a partner. Time allotment—How much time to spend with each lesson phase, such as the introduction and the body of new information. Lesson phase—An explanation of the elements of each phase. Details—Space for writing a supply list, page numbers, predetermined discussion questions, and other key lesson points. Set a purpose. Introduce the topic with a grabber and information to get students thinking. Make the learning relevant. Write the phrase "All men are created equal" from the Gettysburg Address. Have students explain what this phrase possibly meant in the 1860s. Check on previous learning. Clarify key points of the coming lesson, including standards, goals, and objectives, building background knowledge and key vocabulary. Quick discussion of the grabber. Discuss slaves, women, uneducated white men, educated white men. Goal: To explain the significance of the Gettysburg Address in American history and to link the learning to voting rights today. Ask questions; clarify; provide additional background knowledge. Perhaps include a brainstorm activity on the topic to check learning. Why did Lincoln phrase his speech this way? What would happen today if Lincoln gave this same speech? What do we know about the United States in the 1860s based on this speech? How does the phrase "All men are created equal" tie to the rest of the speech? To history at the time? To a deep understanding of American history? How does the opening paragraph lead to the ideas of paragraph two? Paragraph three? Build background knowledge, lecture, and introduce key new points of understanding, correcting misconceptions. 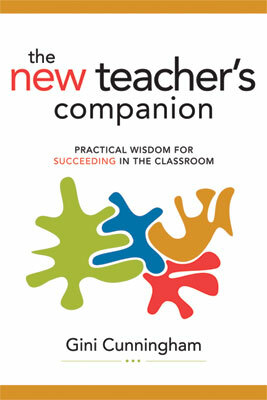 Read text; complete whole-class problems; conduct class discussion. Discuss the Battle of Gettysburg; refer to information on pages 273–281 in the textbook. Discuss pictures of battle on pages 282–285. Write key notes/ideas on overhead. Have students add information to history notes. Provide sample problems and situations. Pose questions to move students toward independent work. Students write their reflections on the information presented in the text in their notebooks/journals. Students work with teacher and whole class, in small groups, or with a partner to clarify learning. Discuss in small groups the significance of the speech, the battle, the fact that President Lincoln came to the battlefield to make the speech, the turning point of the Civil War. Students practice on their own. Begin homework. Struggling students get additional practice. Students select two or three other key phrases from the Gettysburg Address and write a brief summary of each. Connect the lesson details together. Answer questions and respond to wholeclass difficulties. Students share phrases with a partner. They write their favorite phrase with a brief explanation as to why on an "exit pass." Teacher collects exit passes as students leave to assess learning and understanding and to use as a guide to tomorrow's instruction. As the lesson is taught, the teacher pays close attention to how well students understand key concepts so she can later write notes in her lesson plan book to inform future lessons. Every detail, from the minutes necessary for each phase to notes concerning the best questions for student response, provides insight for the next lesson. Pacing the lesson means balancing content delivery, practice time, and checks for student understanding. If the opening of the lesson lasts 15 minutes, less time is available for the main focus and practice that are necessary to improve skills. A brief introduction that draws students into the learning transitions them into the heart of the lesson with adequate time left for questions and practice. The same is true if the main portion of the lesson lasts for 45 minutes of a 50-minute period. Students will not have time to review and apply their learning or practice independently before they leave the classroom with homework that they may not understand. Because teachers expect homework to be done completely and correctly, they must be certain that students have the skills to accomplish the task. A timer can help you practice pacing lessons. A kitchen timer with a short beep when time is up does not disturb the class and reminds you of the time elapsed. A timer on the overhead or projector screen is also useful for keeping students on task because they can see the seconds ticking away as they work. When students know they have a set number of minutes (always slightly less than it seems it will take them to complete the task), they stay on task and finish within the time slot. Good timing means all lesson phases can be completed. When I work with teachers, it scares me to death when they inform me that they do not have a lesson plan or do not have anything special planned for the day. Every day is special, every day students need to learn, and every day you must have a plan. Change your plan, modify it, carry parts over from today's to tomorrow's lesson, but never, ever leave school without lesson plans for tomorrow and the upcoming week. By incorporating these phases into lessons, you ensure that students understand the lesson (because they have observed your demonstration or heard your explanation) and that they can continue working outside class (because they have practiced and have models to refer to). An excellent closure activity is the exit pass (Figure 7.2, p. 113). On a note card or small piece of paper, students respond to a question you have posed orally, summarize what they have learned in class, or ask their own question about the learning or lesson. Student responses in these sorts of closure activities provide you with instant feedback for adjustment of your instruction. If another group of students is coming to class for the same lesson, you can make modifications based on the information just gathered from your students. This feedback is also helpful for determining the effectiveness of instruction. Char Owen, a 4th grade teacher with many years of experience, calls her exit passes "passports." She uses them as a ticket to recess or lunch. The passes transform into "passports" with several pages, and the students' responses become their visas and stamps from countries (learning) they have visited. After each of Char's lessons, she writes her lesson reflections on a manila folder designed around the key concepts of the unit of study. She indicates what went well and what needs reteaching and creates a table of contents for the papers inside the folder. The handouts and activities in the folder are readily available if she needs extra copies now, and everything is ready for future lessons as well. She simply pulls out the folder, gathers materials she needs and copies them, places a check mark on the front to show what she has used, and then returns the masters to the folder. Lesson plans are essential for clear, organized instruction. Although they are time-consuming and sometimes tedious to prepare, never be caught without them. When planning is incomplete, timing and organization are off and students suffer. Attention span of your students, age group, and diversity of learners. Complexity of material and time requirements for each instructional component. Decisions concerning whether whole-class presentation, small groups, or partners are best for teaching and learning a particular concept. The best configuration of student groups for optimal learning, for example, homogeneous or heterogeneous ability groups, complementary interests, or personalities that work well together. Activities that best facilitate the learning of each student. Preassessment of skills and background knowledge to determine what students already know, what they need to know, and what their misconceptions are. Selection of regular and supplemental materials to augment learning. Strategies for frequently monitoring and adjusting the lesson. Is there enough information written to make the lesson clear? Have you selected a variety of activities? Are the goals and objectives clear and attainable, and do they match the proposed instruction? Does this lesson build on previous knowledge and lend itself to future lessons? At lesson's end, are students set for independent success? Good lesson plans are always well worth the effort. During my first years of teaching I always had the plan book opened on my podium for easy reference as I walked by during instruction. Later, after writing the formal plans I created note cards with reminders to carry with me so that I did not have to refer to the formal plans as often. For my junior high and high school students, I designed a study guide. The guide highlighted the goals, objectives, assignments, and due dates for one or two weeks at a time so students knew what we would be learning. Every step I took in planning led to ease of implementation. Even plans I had to discard because they ended up not meeting the learning needs of my students increased my knowledge and understanding of the essentials of good lessons. After each lesson, consider what went well and what needs to be adjusted. This is easily done with a postlesson appraisal, such as the one in Figure 7.3. Great teachers always reflect on their lessons. An appraisal form can also be completed by paraprofessionals, volunteers, or substitute teachers who have worked with your students to provide feedback on their instruction and student learning. What needs work? What will I do to improve the lesson? What do I need to do in tomorrow's lesson? How will I get it done? What special considerations are there, and how should I handle them? In addition to critiquing your own lessons and lesson plans, ask students to give you feedback on the lesson quality, organization, clarity, and goals reached. This feedback is especially beneficial when students analyze a unit of study that may have caused them to struggle with time management, such as a unit involving a research paper. A question I use is "What will you do differently next time?" The best-ever answer: "I'll have my mom get started a lot sooner so next time she can do a better job." Sometimes lesson feedback is more insightful than you could ever imagine. When students are in class as the lesson is presented, you can observe and get feedback from them concerning what they know and what needs repeating. Some of this is obvious in the work they complete; other indicators come from the expressions on their faces and the questions they ask. When students have been absent or they have late work and missing assignments, lessons often require adjustment. Late work and makeup work affect today's lesson plan—and tomorrow's. As work is collected, remember that students returning from an absence may have gaps in learning that need to be filled in. Why is the work late? Is turning in work late a pattern or a rare event for this student? What were the goals for the assignment? Was one goal that students complete their work to determine proficiency? Was there another reason for the assignment? What are the desired outcomes of the learning? Is the assignment designed for learning, practice, and to cement understanding? What is the expectation for the work beyond a grade in the grade book? If students rarely do their homework on time and then want to slide it in as late work, what is the policy? Is it more important to do the work as required (even if not doing the homework does not hinder learning) or to understand the material? Will the student be able to succeed in this grade or subject without completing this assignment? No matter how well-planned lessons are, there are always things that just happen. Time and practice make lessons flow more smoothly. The more you teach, the more experience you gain and the greater the number of activities and strategies you will have in your repertoire for excellent instruction. I spent my 4th grade year in a combined 3rd/4th grade classroom of 33 students. Kind and wise Mrs. deCoursey was my teacher, and I loved her. One of our topics in social studies was learning about all 50 states. We drew maps and studied information about each state, such as the capital, state bird and motto, main industries, and geographical features. Mrs. deCoursey made every lesson wonderful and fascinating, and I can remember her instruction more than 45 years later. As we neared the end of the unit on the United States, we divided into groups of three or four. Each group received a large piece of plywood on which to create a replica of the assigned state from a mixture of flour, salt, and water. After working for days to get every mountain, river, valley, and lake exactly in place, we painted our model, labeled key cities, and placed pennants across the state to mark natural resources and industries. Each group shared its findings by presenting our culminating projects to the applause of our classmates. It was a learning experience that I will remember forever. It was fun, well organized, engaging, purposeful, and educationally sound, with clear learning goals— everything a unit of study should be. This unit of integrated study included social studies (the states), geography (location and physical features), language arts (research), art (the map), mathematics (dimensions), and economics (industry) combined into a multi-week time period. Lesson plans are not little snippets here and there to get you through the day. They are linked day to day, week to week, throughout the year. You do not teach multiplication today and then set it aside, never to be reviewed or practiced again. Teaching and lesson plans are not check-off lists but a continuing process that when placed together create a larger product—a unit of integrated study. Unit plans consist of concepts and learning goals that are taught over a period of time and are woven together, often across subject areas. A unit plan lasts two or three weeks (or longer) and includes several standards, skills, and desired outcomes for interconnected learning. For example, science research involves the research, reading, and writing strands of English/language arts. So while the students are studying, researching, and writing about amphibians, they are using the skills they have learned and practiced in language arts as they expand their knowledge about science concepts. Combining subject areas most often involves overlapping lessons in the subjects, thus creating longer spans of class time for study and practice. At the secondary level, unit plans contribute to optimal learning when teachers of different subjects work together to develop cross-curricular studies. When unit plans are done well, learning is maximized through multiple exposures to key learning concepts and goals. For example, with the topic of modern art, students study and replicate particular art pieces in art class, read about great artists in English class, and compare the history of art and historical events affecting art in social studies. As a beginning teacher, do not think that you must spend hours and hours planning so that all lessons fall underneath the umbrella of a unit plan. Begin by knowing that each lesson is linked to the next and then to ensuing lessons. Common concepts, recurring themes, and similar desired outcomes, along with instructional materials that blend diverse subject areas, plus a big vision of student learning, overlap to create a unit plan. Many of your teaching colleagues are likely to have unit plans they have already developed and used and are willing to share. Take advantage of this free material and then adjust it for successful implementation with your students. To begin planning a unit, first outline the academic goals of the big vision of the unit. This phase includes deciding what students should know and be able to do at the end of the unit, the number of days or weeks required to maximize learning (great units always require slightly more time than expected), and selecting textbook chapters and stories and other materials to incorporate. Next divide everything into the available class periods or time slots to determine how to fit the pieces into the unit. Build in extra time for review and enrichment to ensure that all students have learned the material. With each lesson, pinpoint the specific goals and desired outcomes that are to be met to ensure your students will meet the learning goals of the overall unit. Document shortcomings and successes for future lessons. When you know where you are going, you have a far better chance of arriving at your destination. Planning your unit road map for learning is an excellent way to stretch your thinking and implement the big vision. Having a clear goal and deciding what routes best allow you to reach your destination increase the likelihood of success. The stops along the way for refueling and refreshing are the strategies and assessments that enhance the trip and the total learning experience. What is the big vision for the unit? What is the primary educational intent for this unit? What do students know right now? What should students know and be able to do by the end of each lesson? What should students know and be able to do by the end of the unit? How can instruction be adjusted to meet the needs of all students? What will take place before and during the unit to make sure that all students are successful? What happens when students do not know? What materials are available for enrichment activities? What are the cross-curricular connections? Is the time for the unit well justified? The purpose of a unit is to unite lesson plans to enhance learning. The unit plan is not a place to throw together every imaginable teaching idea in total disarray. I have witnessed magnificent castles created from units that had nothing to do with academic standards or what students needed to know and be able to do. The students had fun as they built models and colored pictures, but the deep learning was not present. On the other hand, units that are artfully crafted provide tremendous learning opportunities for students. Unit plans demand great amounts of time, energy, and planning, but the results are incredible because each step of the learning ties to the next. The planning outline in Figure 7.4 is useful for completing the specifics of a unit. An important factor to consider in planning is where lessons and units fall in the grading period. Sometimes long units create problems when the "big grade" lands in the next grading period. If the culminating project is due at the beginning of the new nine-week period and it has a weighted grade, that one big grade might distort the true picture of student learning. A high mark may indicate to some students that the rest of the learning for the new nine-week period is of no significance—the kind of attitude expressed by comments such as "I already have an A." A low mark may be followed by "I didn't finish my project, so it is useless to try to improve my grade." Plan the unit with these excuses in mind to alleviate potential problems. As you plan and teach the unit, constantly ask, "Can I prove that students have learned? What will I do for those who know and those who do not know?" These questions and reflective responses ensure that all students will understand and achieve. If done well, unit plans combine lessons in a way that can lead to extraordinary student knowledge and understanding. It is an inspirational sight when students light up with "aha!" moments through multiple encounters and practice with concepts and skills that infuse their learning. Cross-curricular unit plans offer the opportunity to work with respected colleagues to increase insight, add new perspective, and augment instructional knowledge. This teamwork expands your own expertise while also demonstrating your special skills to others. However, not all colleagues will exert the same effort for each unit. Avoid making big unit plans with those who do not willingly complete their part of the planning and instruction or who do not appreciate your enthusiasm. When I was teaching 8th grade English, we read Night, the autobiography of Elie Wiesel. The book details the author's survival in a concentration camp during the Nazi terror of World War II. I taught this unit for 11 years, and each repetition and reading made the book more powerful to me as lessons were enriched through student feedback. I scheduled the unit during the time that my students were studying World War II in history class, creating a learning liaison between the two subjects. Each year my students talked more and more about the unit, comparing facts and information from their history teacher and textbook to what we were learning from the autobiography and our discussions. The effect of this unit expanded greatly when the history teacher, Herk Criswell, and I began more detailed planning of our units together. The students did not just double their knowledge between our two classes, lectures, notes, and discussions. I would say they tripled or quadrupled their knowledge. It was amazing to see the enthusiasm they gained for learning through our collaboration. A bonus was how students compared the historical information each teacher shared. As we would read and discuss, some would say, "Yeah, that is exactly what Mr. Criswell said in history." On other occasions, students would double-check our facts: "Mr. Criswell told us … But you said …" This interchange led to interesting dialogue about perceptions of what students had heard in one class or the other and how history is interpreted by readers, writers, textbook companies, teachers, and students. It also allowed students to compare the style and tone of two literary genres: autobiography and textbook. Sometimes my students would comment, "Hey, did you know we are learning about this in history?" and I would nod, to which they would respond, "Why don't more teachers do that? It really makes things make sense when you hear about them more than once." Although the unit was always complicated and demanding to teach, the student learning and thinking were extraordinary and empowered both teachers and students. Whether you are working on daily plans or a large unit, always consider your learners. Understanding their background knowledge and previous learning prevents needless repetition or insufficient explanation. Students bring a wide variety of background knowledge with them to every class and subject, and part of teaching is determining the extent of that knowledge. Experience with students shows that one of the best frames for initial instruction in a unit is the KWL (Ogle, 1989), which asks the following: What do students (1) know, (2) want to know, and (3) learn as a result of the unit? At the beginning of the unit, students complete the Know section of the KWL. The teacher now has background knowledge about past learning and can also identify any misconceptions. Next the students complete the Want to know section so that the teacher can interweave bits of information that have piqued curiosity into the contents of the unit. At the end, students complete the Learned section to provide feedback about their understanding, which the teacher can then use for planning next steps. Every step you take to set students up for success in learning pays high dividends. One of these is the bright smiles of achievement on student faces as they "get it." Another is the deep personal satisfaction gleaned from doing a job well. Few rewards are greater than positively affecting the lives and learning of children. Teaching is a conglomeration of best teaching practices, intricate lesson and unit plans, and the expertise of the teacher guiding students to learning. It is exhausting and exhilarating. Those who remain in the profession over time develop a tremendous knowledge and understanding of children, their perceptions, and how young minds work. Although you may not make the multimillion-dollar salary of a sports celebrity, a movie star, or a CEO, your reward for teaching will be worth far more. On the most troubling days, when frustration and worry levels appear to be at their highest, remember that there is nothing more exciting than observing students when the "Aha! I get it" light pops on. You may never know the difference you made in the lives of students, but teachers always leave a mark. Great lessons and well-planned units increase knowledge and leave imprints of competence and understanding. Teaching and learning are a never-ending cycle. Although all of the work may wear you out, when students' minds shine, you will be refreshed and ready for the next challenge.